Lyricist Sameer has much reason to celebrate! 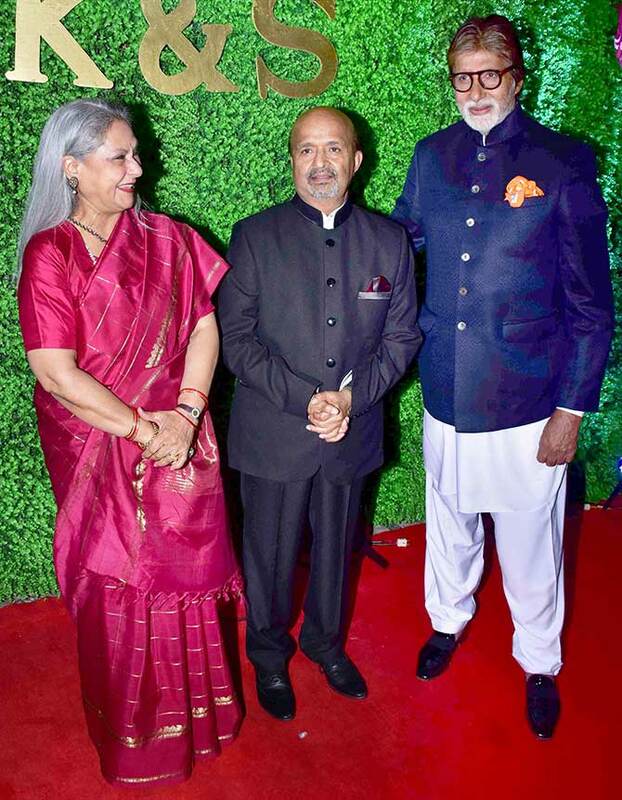 Veteran lyricist Sameer, who has spent over three decades in the film industry, invited his colleagues over for the wedding reception of his daughter, Suchita. 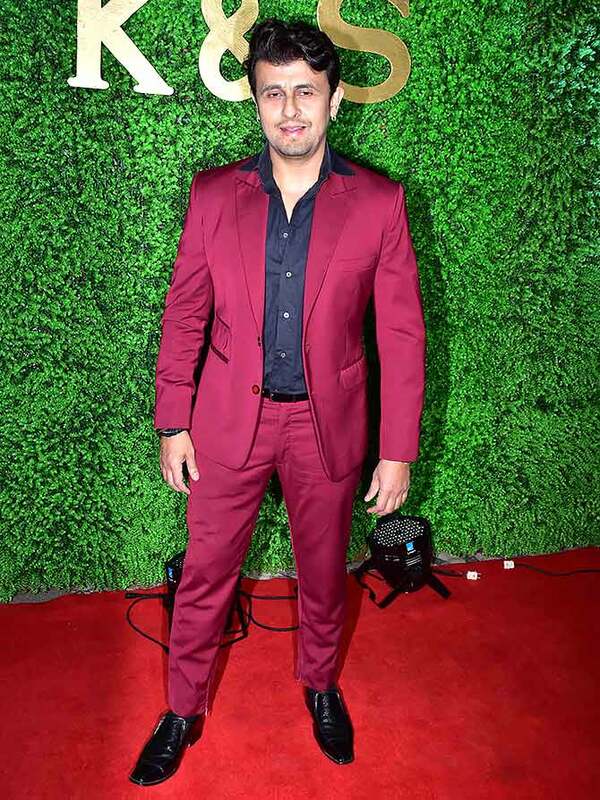 The lyricist, who has more than 4,000 songs to his credit, has worked with Bollywood's biggest stars. And quite a few of them made sure to celebrate with Sameer on one of the happiest days of his life. 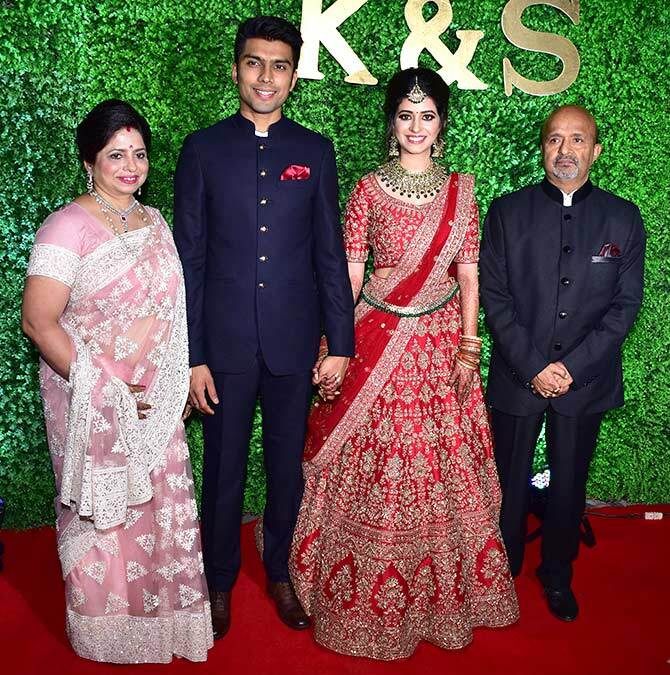 Sameer with his wife Anita and the newlyweds. 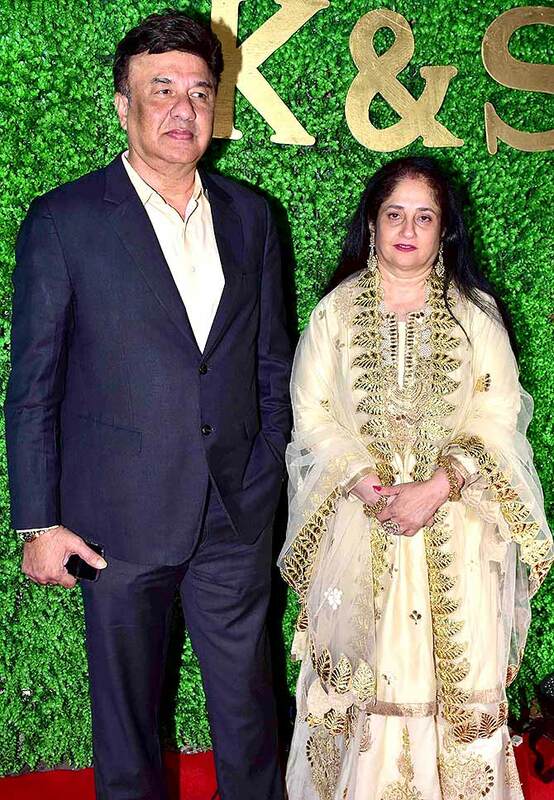 Anu Malik with his wife, Anju. 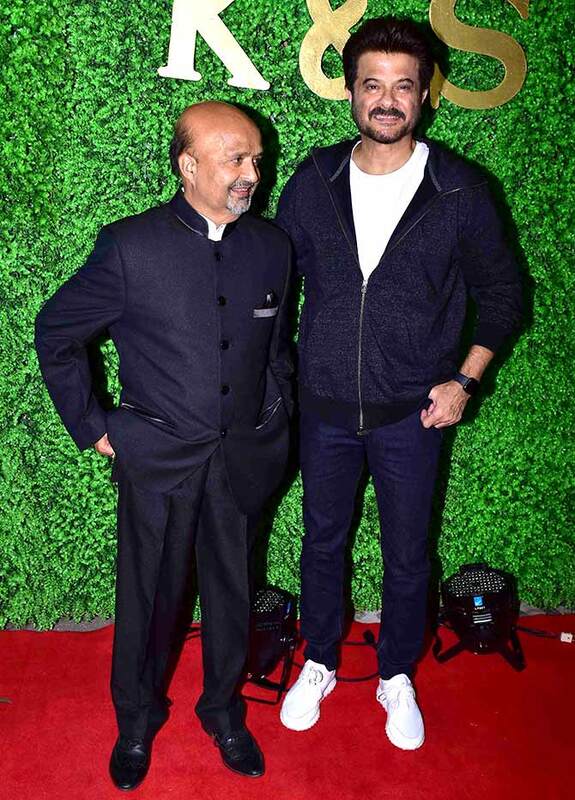 Anil Kapoor poses with Sameer. Did you know that Sameer had penned the famous Dhak Dhak song, picturised on Anil and Madhuri Dixit, in Beta? 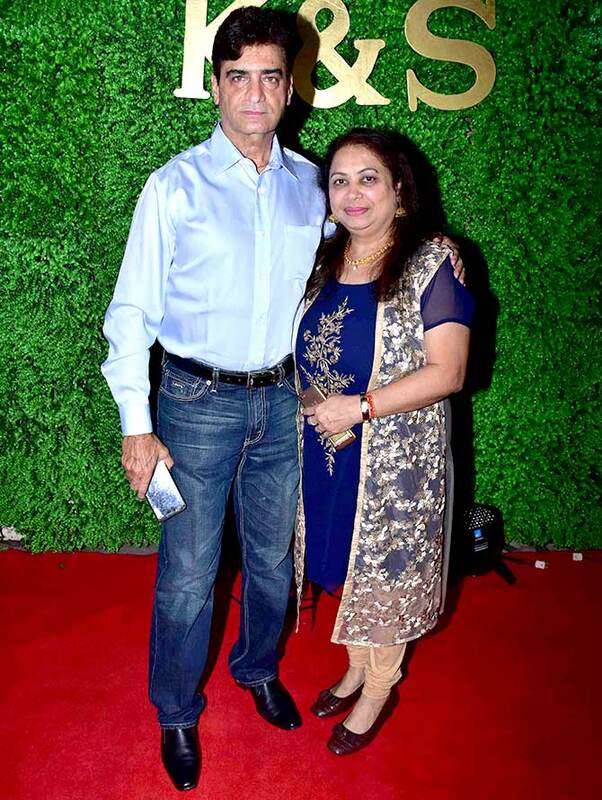 Beta director Indra Kumar, who recently released the trailer of his new film Total Dhamaal, arrives with his wife. 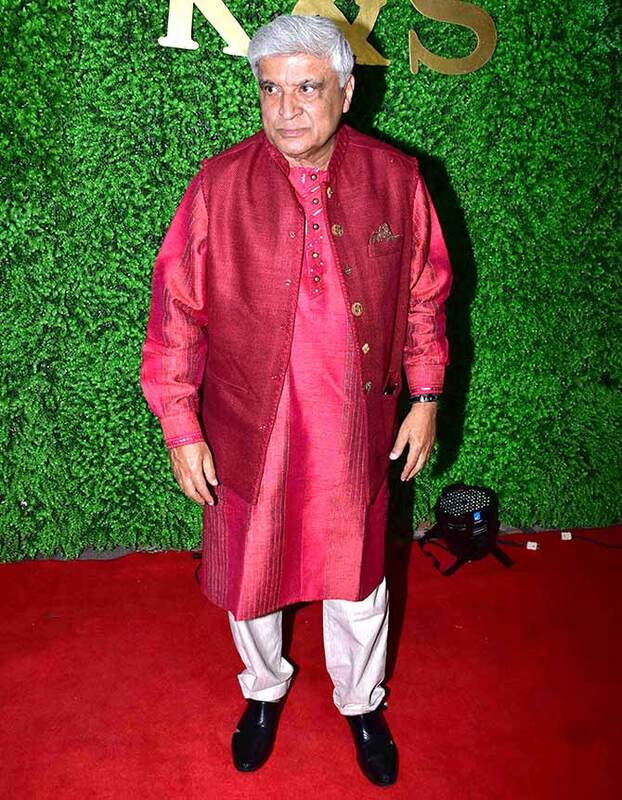 Bollywood's other prominent lyricist, Javed Akhtar, makes sure to attend. 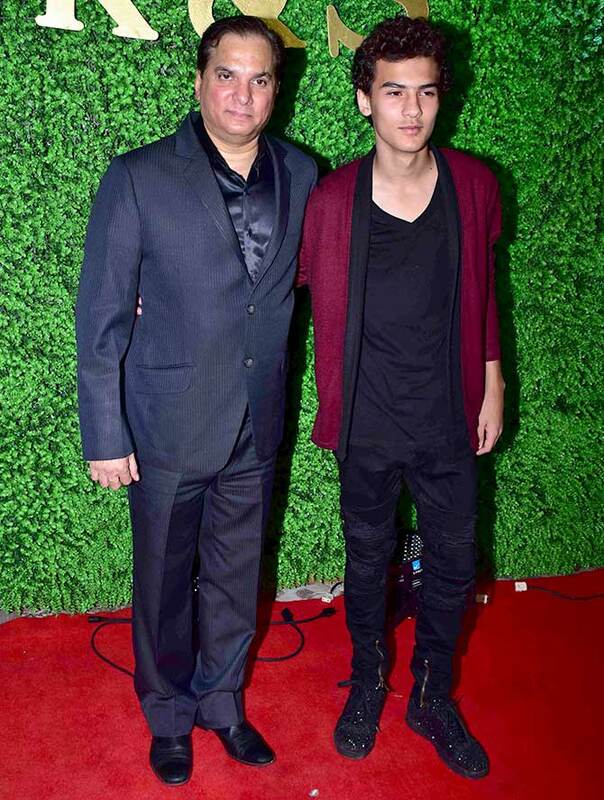 Lalit of Jatin-Lalit fame arrives with his son. 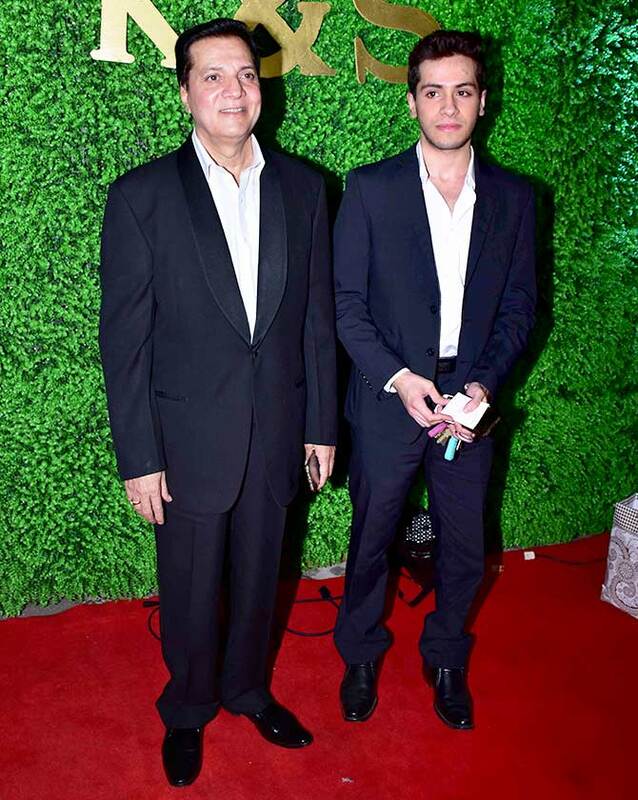 His older brother Jatin, with his son. 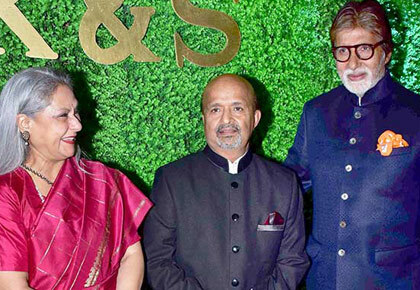 Sameer shares a long history with the Bachchans. 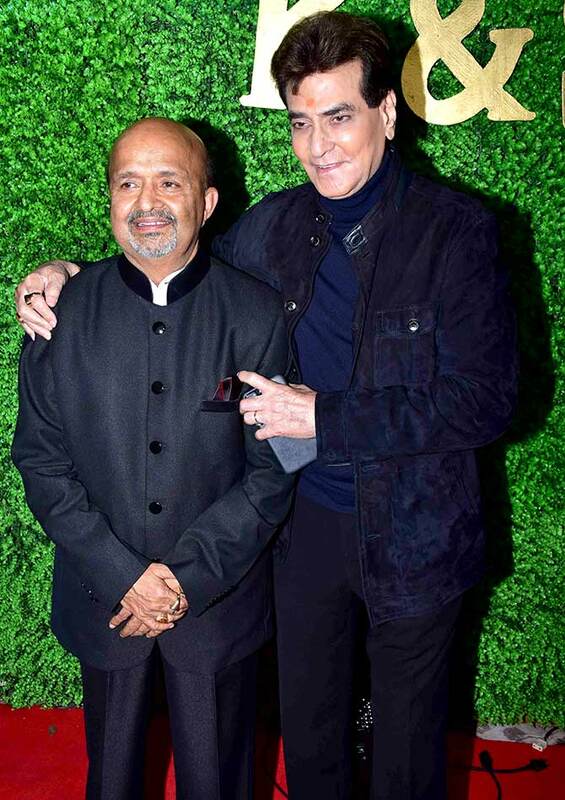 Long before he made a name for himself in the film industry, Sameer's father, Anjaan, was penning lyrics for Amitabh Bachchan's biggest hits like Don, Laawaris, Namak Halal and Sharaabi. Sameer welcomed the Bachchans warmly, hugging Amitabh and touching Jaya's feet. 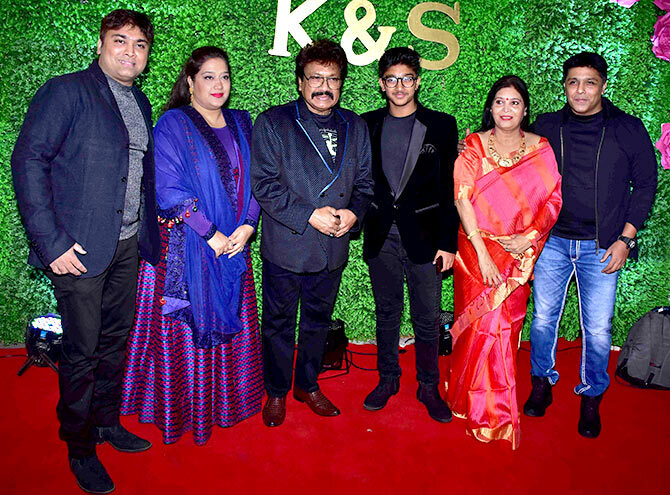 Shravan, of Nadeem-Shravan fame, was there with his family. 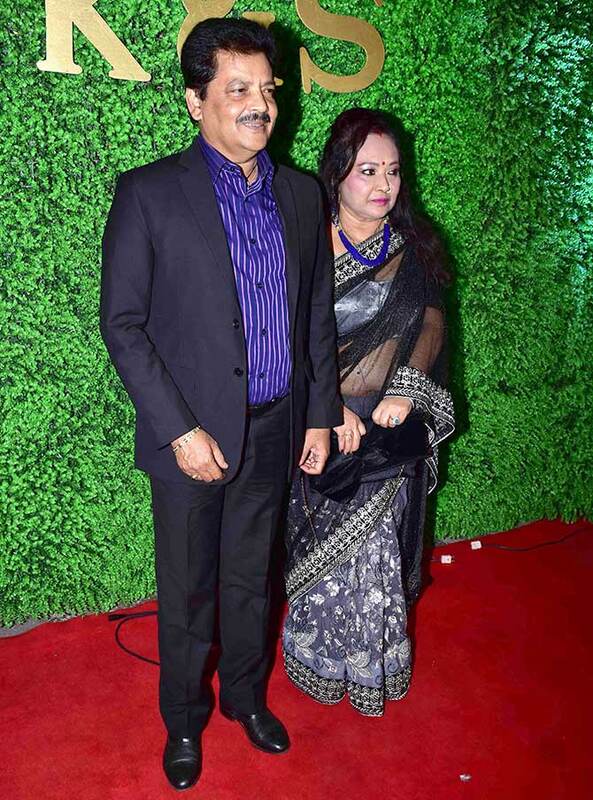 Udit Narayan with his wife. 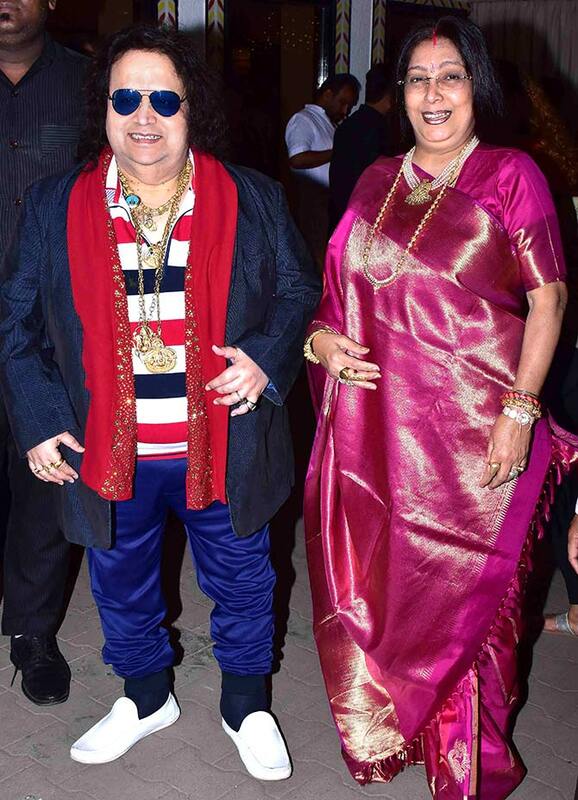 Bappi Lahiri with his wife, Chitrani. 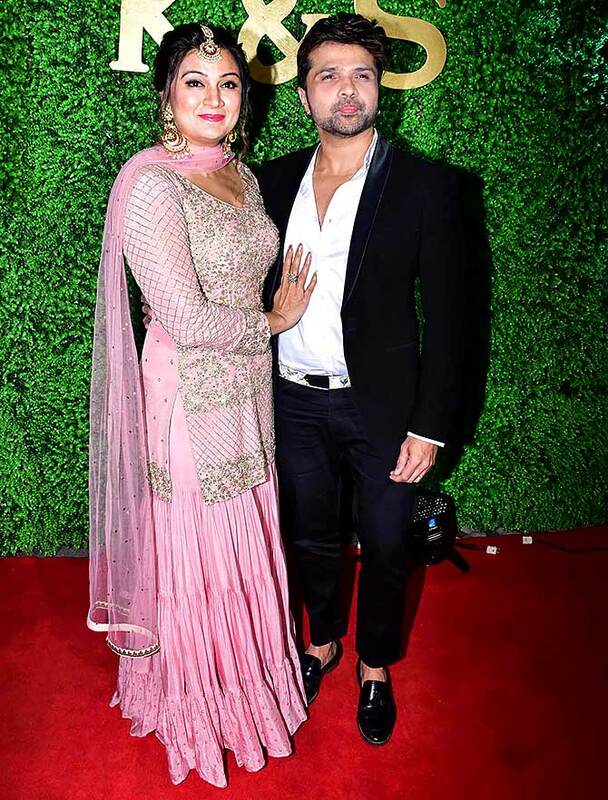 Himesh Reshamiya and his wife, Sonia. Disha, Alia, Sara: Looking GORGEOUS in boots!